Who won the Battle of Haldighati, fought between Emperor Akbar’s Mughal army and the Mewar forces of Maharana Pratap? The question continues to arouse controversy, 442 years after that legendary encounter. Last year, the Rajasthan Board of Secondary Education approved a revision of the Class X Social Science Text book: it would now state that Maharana Pratap decisively defeated Akbar at Haldighati, whereas earlier text books had said that the battle was inconclusive. The story of Haldighati has been told and sung century after century. It is a story of great courage and sacrifice; of the clash of indomitable wills; of Mughal ambition and expansion versus Rajput pride and honour. As a historian of Rajasthan I have spent years researching this period of Mewar history and this most famous of Indian battles. And I have to say that on the basis of historical evidence, it seems that the earlier textbooks were right. So what really happened at Haldighati? On the sweltering morning of June 18th, 1576 the two armies faced each other on the forbidding terrain of Haldighati, with its narrow defiles between steep cliffs, and yellow turmeric – coloured soi, interspersed with some flat spaces, most not even large enough to put up small encampments, let alone encamp an army – which is why the Mughal camp was a short distance away. As the Mughal forces got into battle formation, sharp-eyed Bhils perched on hilltops kept Maharana Pratap informed of their every movement. Estimates of the size of each army differ widely, but what is certain is that the Mughals far outnumbered the Mewar forces which included cavalry, infantry, 150 elephants and a contingent of Bhils armed with bows and arrows. The battle began with the Mughal advance guard being routed by Pratap’s cavalry charge. Later, the Mughals rallied and amidst fierce fighting, they managed to capture Mewar’s legendary lead elephant Ram Prasad, a creature that Akbar had long coveted. The battle continued to rage close to the narrow pass of Haldighati where, as Akbar’s court historian Abul Fazl noted, it became difficult to distinguish between friend and foe. Many lives on both sides were lost as the midday sun beat down fiercely. Then, Maharana Pratap came face-to-face with the chief commander of the Mughal army, Man Singh, a prince of Amber—two leading Rajput warrior princes with two opposing visions. As the historians, Lloyd and Susanne Rudolph have perceptively observed, Man Singh was all that Pratap refused to be: “commander of conquering Mughal armies, governor of Mughal provinces, an honoured figure at the Mughal court…” Man Singh was fighting for the glory of an empire that wanted to subsume smaller regional kingdoms, while Pratap was fighting for the right of his kingdom’s right to political and cultural sovereignty, free of the overlordship of any Mughal emperor or empire. Though the two Rajput warrior princes had kinship ties, as they faced each other on the battlefield that day, each only thought of how he could vanquish the other. The popular annals from both sides state that Pratap, astride his favourite horse Chetak, flung his spear at Man Singh who was atop a huge war elephant, but he missed his target and killed the elephant’s mahout instead. In this encounter Chetak’s legs were slashed. The Mughal troops now came in force to their commander Man Singh’s aid. But Maharana Pratap, still riding the wounded Chetak, managed to fight his way through to where his own forces were massed. Meanwhile, even as it once again seemed that the Mewar forces were gaining the upper hand, a Mughal commander deliberately spread the rumour that Emperor Akbar himself was arriving at the head of a large contingent of reinforcing forces. This boosted the morale of the Mughal soldiers and they fought with renewed vigour. According to Mewar folklore, and the text Sagat Raso, an estranged brother of Pratap, Prince Shakti Singh, who had earlier fought on the side of Akbar, now came to Pratap’s aid. He had seen his brother leave the battlefield and had followed him. Filled with remorse at having opposed his brother while the noble horse had sacrificed his life for his master, Shakti gave Pratap his own horse to let the Maharana ride away to his nearby fort of Gogunda, and thence into one of his hideout in the hills. Estimates of the numbers killed on both sides again vary widely but there was heavy loss of lives on both sides. By the time darkness fell on the blood-soaked battlefield of Haldighati, the surviving Mewar forces too had retreated to their hideouts in the hills and forests. The 19th century chronicler of Rajasthan, Col James Tod, laments that Mewar did not have a Thucydides to tell the world of its brave warriors and heroic battles. He compares the Battle of Haldighati with the the Battle of Thermopylae (480 BCE), in which an invading Persian army was held off by a much smaller Greek force at a narrow pass, as at Haldighati. Though the Persians eventually managed to break through, Thermopylae has become an enduring symbol of heroism in the face of tremendous odds, as has Haldighati. Many more campaigns would be launched by the Mughals against Maharana Pratap, and Emperor Akbar himself would march to Mewar to pursue his enemy. Later, there would indeed be a lesser talked about, but a far more decisive battle at Dewair, which would see a crucial victory for Maharana Pratap against one of Akbar’s Mughal commanders, and the uprooting of 32 Mughal garrison posts in a single day. But Dewair too would not see the end of the war between Akbar’s forces and Pratap’s Mewar. Thus, for years the Mughal forces chased Maharana Pratap’s shadow across the Aravali hills, while the Mewar warrior continued to elude them, and to be a thorn in the side of the Mughals until his death in 1597. 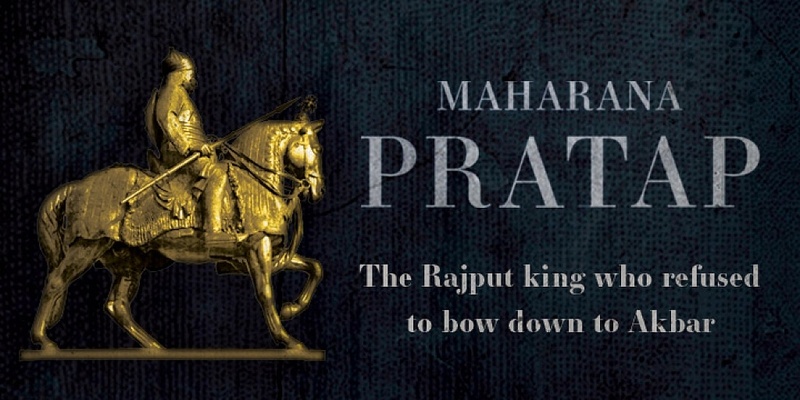 Read the complete story of Maharana Pratap now.